Some BC Chatter around the blog-o-sphere (and real media too! Andre Callender (Boston College) - The senior running back piled up 158 yards and two touchdowns against his former coach Tom O’Brien. His four yard plunge in the third quarter helped to seal the victory. Callendar has been a big reason the Eagles have opened 2-0 in the Atlantic Coast Conference. 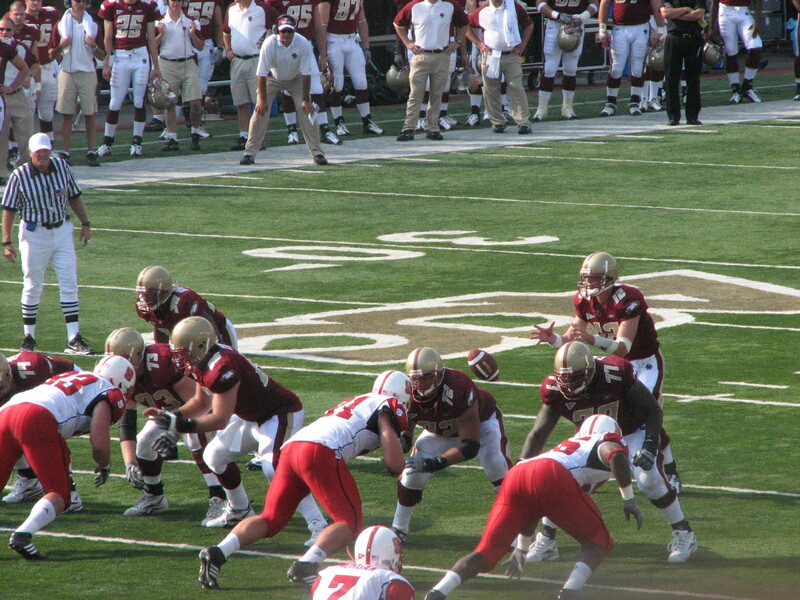 The first-year head coach sent NC State and former BC head coach Tom O’Brien home with a 37-10 loss. Jagodzinski moves to 2-0 in the ACC with the victory, with two double-digit point wins over divisional opponents.